Would you like Ground, Rail, or Air? In this post we are going to review the current (August 2016) shipping solutions for Fishbowl Warehouse and Manufacturing and in the process hopefully expose new ways of managing your shipping needs. The options I’ve selected today have some kind of Integration with Fishbowl, or other options. All three (except USPS) have a dedicated apps for shipping with them. These applications are standalone from their web-sites which I think most shipping departments are used to using for a little while before they outlive their usefulness. While a web-site is nice to get quickly going, most departments quickly see the problem with hand typing orders into these web-sites. All of these carrier apps have many different ways of getting shipment data into them. CSV/Excel Imports, and most importantly they offer ODBC Connectivity. See our other posts on ODBC. ODBC stands for Open DataBase Connectivity, and is the connection that allows these applications to request data from a Database without specifically being programmed for them. Not wanting to make this a technical post we will continue with how we can use this to our advantage. Fishbowl uses these applications ODBC features to get data into them, and out of them. Here is how they work. Applications will request Shipment Data, and once complete they post back Tracking Data through the ODBC connection. The great thing about this kind of setup, is that all three allow customization. We can customize how Shipment Data is retrieved from Fishbowl, and within reason change what data we Post Back into Fishbowl. When working with UPS/FedEx and USPS, one aspect is very clear. If you want custom shipping options or data feeds, the best way to do it is in their own applications. Accessing FedEx/UPS/USPS services from another solution may not always give you the highest degree of customization, but they have their own benefits. Personally I really like UPS WorldShip, and that is just pure opinion. All solutions have their own frustrations, but working with WorldShip is decent enough. In past projects we have been able to do some amazing solutions with UPS WorldShip. 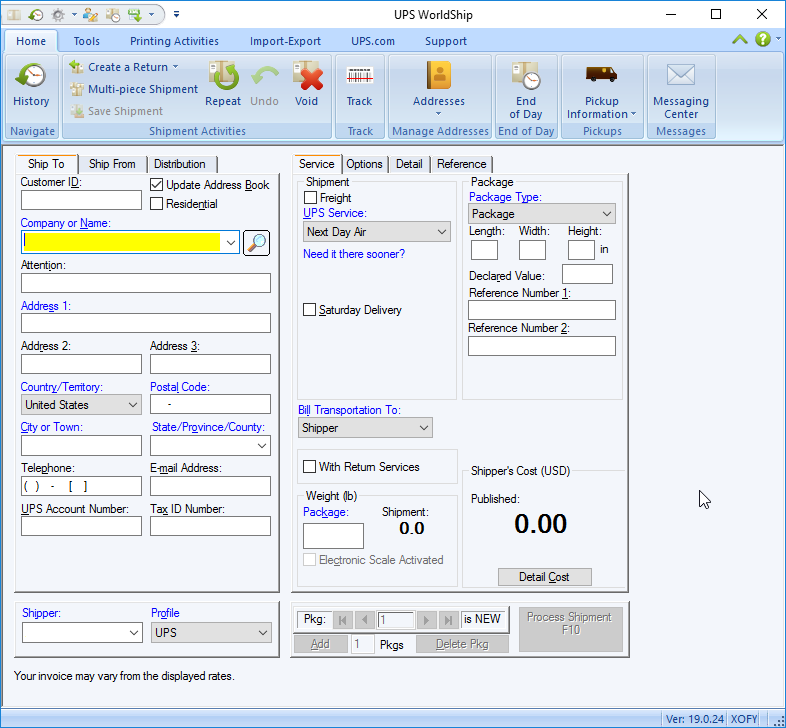 Here is a link to all of the Shipment Data fields available in UPS WorldShip 2016. Now my interest in UPS WorldShip does not mean I also do not like FedEx Ship Manager, my relationship with it is much more nuanced. 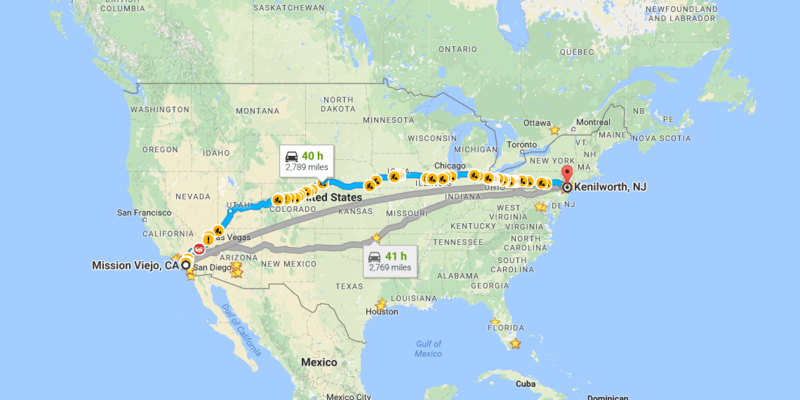 FedEx overall I feel is a much more technical application, and there is a lot of power there; but the integration mapping has been difficult in the past. However, the support staff at FedEx have been amazing. I’ve met more FedEx field support reps than I have with UPS, and they were amazingly knowledgeable. I could not find a FedEx listing of mapping fields, best I can do is link to their Help PDF. 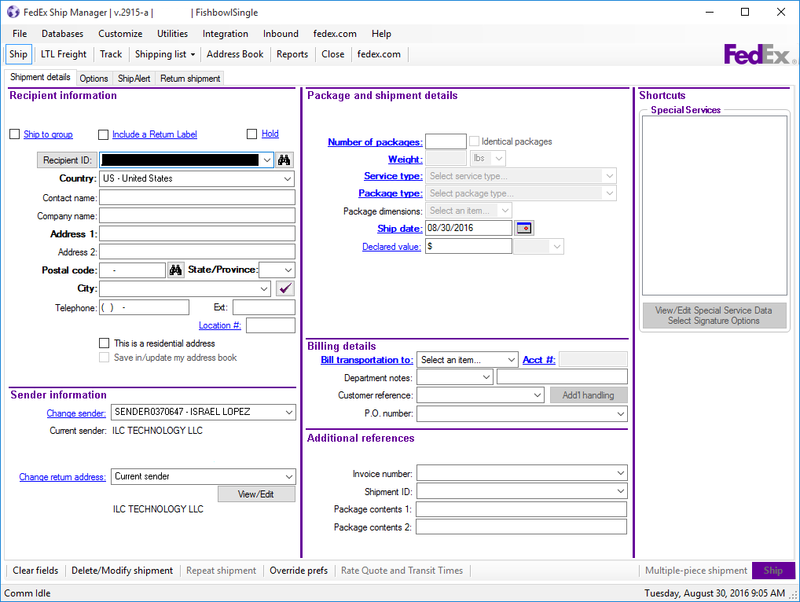 Shipping with USPS / Endicia just works, but it is because its a much simpler solution. Setup with Endicia Professional is fast, takes a few minutes, and is the most “clear” about communication errors; which we are thankful about. 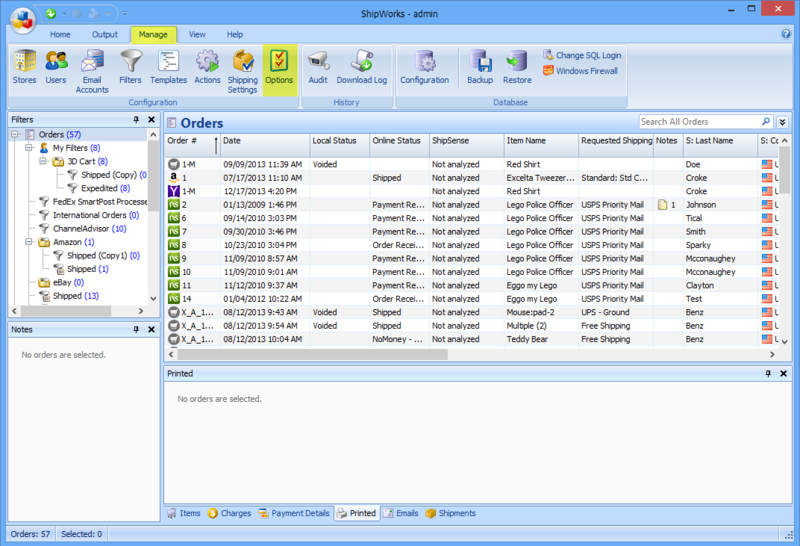 Some problems in the past include handling for manual shipments. If it had a way to ignore posting-back shipments that were created manually, it would be less of a headache. However, it is just a matter of user training to clear out those errors. These shipping apps exist to make shipping easier across all carriers. Most of them have started up years ago to ease shipping issues with eCommerce systems like Magento, Shopify, WooCommerce etc,. Fishbowl Integrates with these solutions because many customers like the rate shopping abilities, and have everything in one place, but they don’t all equally work well. 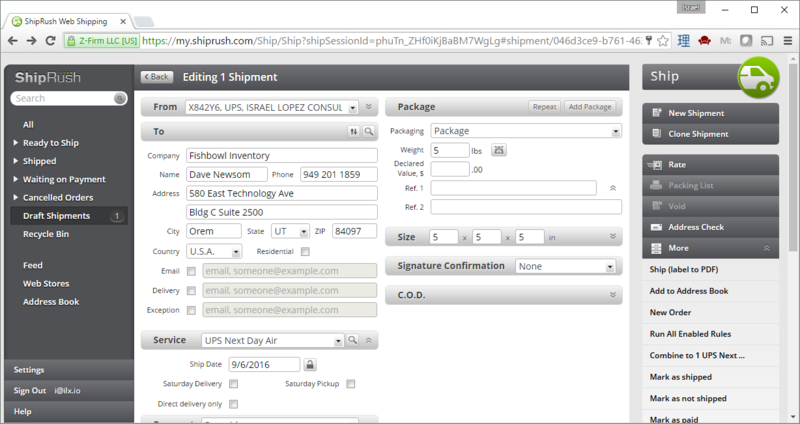 As of this writing ShipStation is the current 3rd Party Shipping Integration solution with Fishbowl Inventory and Manufacturing. A bit different than ShipRush and Shipstation is ShipWorks, an order consolidating solution that runs on the Desktop, not cloud. I personally have been asked to integrate with ShipWorks since 2010, but it took until a very persuasive customer in 2014 to attempt an integration. ILC has an integration with ShipWorks, and we can customize it to client needs; but there are some limitations with it. The #1 limitation is Order Numbers cannot be Alphanumeric, they must be numeric only. Fishbowl Order numbers are Alphanumeric and we simply cant change that. In certain situations the solutions above is enough. Sometimes we have to create custom shipping solutions in order to take advantage of very specific automation opportunities. Here are some we have worked with in the past. In 2014 a customer of ours wanted to automatically Pick, Pack, Ship and Print a UPS label in one shot. So the first 4×6 label would be their Pick Ticket / Packing Slip, and the second Label would be the UPS Label. We selected N Software’s Shipping Integrator for C# .NET in order to communicate with UPS Ground. It was a successful project that saved the company countless hours per day manually generating labels, and pick tickets. Since that project, I would use Shipping Integrator again; but not if we need to communicate with other Carriers. 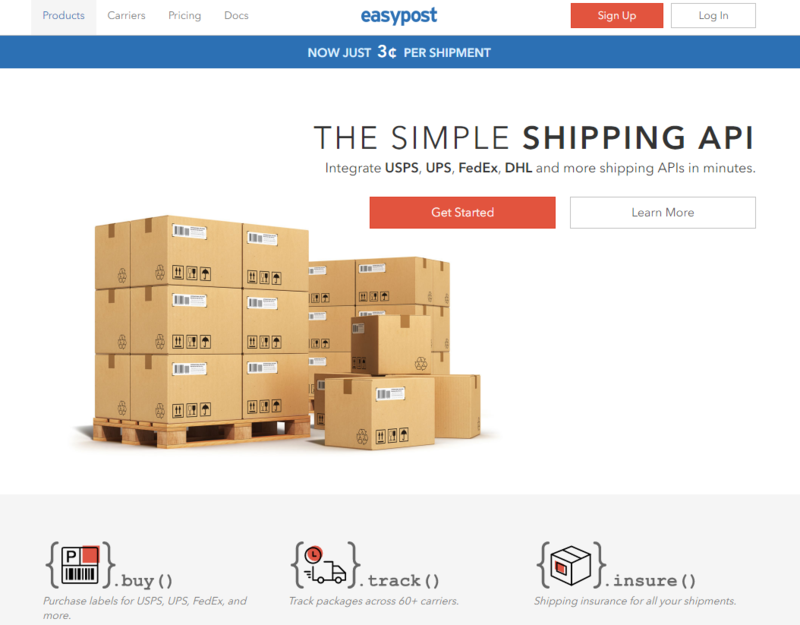 EasyPost is a rather new entrant into Shipping Tools for Developers, and they have impressive features. We are currently working on Integrating EasyPost into Fishbowl as a Plugin. Our first goal is to offer Shipping solutions for the Australian market with Australia Post. We’ve quoted a few solutions to other customer customers who want a more automated and finely controlled Shipping Solution with Fishbowl. For now, we are focusing on EasyPost to do that. A lot of my customers are still organizing LTL Shipments manually by calling or visiting their carrier websites. We had hoped that Freightview would clear that up, but we simply had to wait for better Plugin functionality in Fishbowl in order to do so. We might even try a full-browser integration into Fishbowl for Freightview, something to think about. For about 2 years there was a UPS Module for Fishbowl. It was a neat little solution, that was a stop-gap measure to offer rating/shipping services within Fishbowl; however it was recently removed from Fishbowl 2016.11, and customers are looking for a new solution. As you can see we are very experienced with Shipping Solutions with Fishbowl. If you have a project in mind, give us a shout and we should be able to offer some ideas.